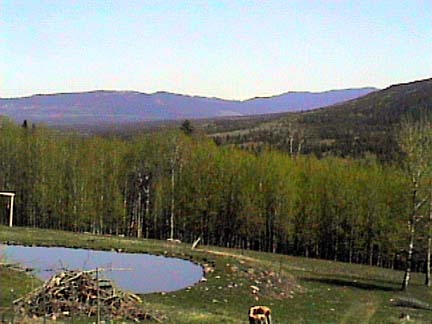 160 magnificent mountain private acres, treed areas, trails, meadows, partially cleared areas, surrounded by crown land with trails (some large truck wide, some atv wide, some going all the way to the fantastic pub/restaurant in Lone Butte!). 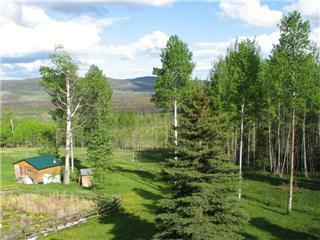 The property is on the mountain side with a stunning view of the valley lengths and the mountains. It is near Egan lake, 50 minutes to 100 Mile House, 40 minutes to Lone Butte (Amazing pub restaurant there! 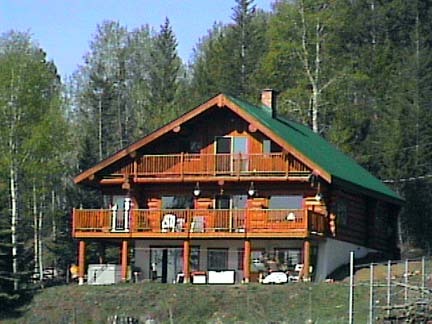 ), 20 minutes to Egan Lake village, 2 hours north of Kamloops, 1 hour to Lac La Hache, 1.5 hours south of Williams Lake. 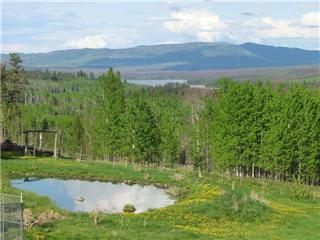 Private area near numerous trophy lakes, top quality hunting and ATVing, close to many year round resorts. There is a strong opportunity to take over the contract for dog sled tours for world famous "The Hills" resort. This is a quickly rising area, property values and opportunities are zooming. House is aprox. 2625 sq feet on the main and second floor, plus a developed walkout basement. 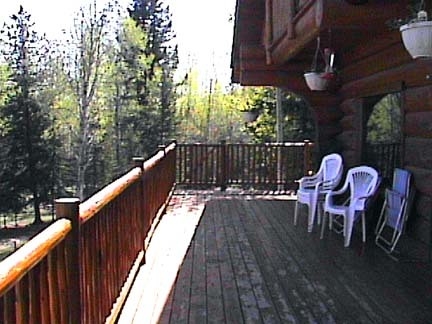 It is top quality large log construction, with two balconies and walk out deck. Metal roof. Artesian well with the most amazing water. There is a spring fed small pond near the house. It is east facing boasting the the most stunning views and sunrises you will ever see. Photos do it no justice. 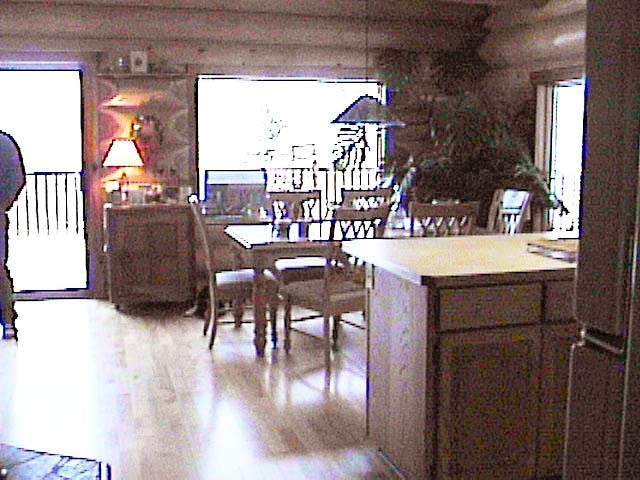 Main floor: Large mudroom, half bath and laundry, large office/bedroom, living room, big kitchen and generous dining area. 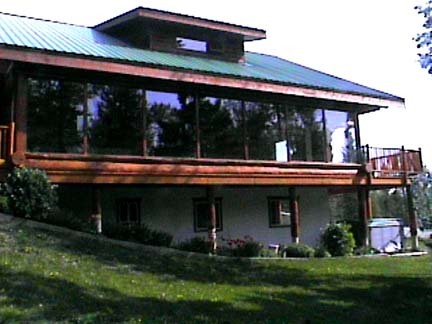 Sunroom runs the length of the main floor with two separate entrances and vie of the upper treed pasture. Wide front deck runs the width of the house. View of the mountain valley, lower meadows, kennels to the side. Upper floor Massive master bedroom with private deck and patio doors overlooking the lower meadows, mountain valley and forest. Two large bedrooms and huge full bath. Walk out basement. 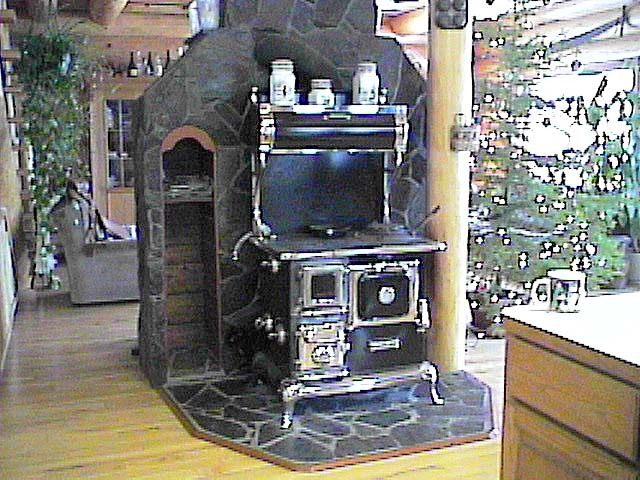 Wood room, wood burning/electric furnace, 2 storage areas, cold room. Smaller bedroom has private entrance and own bathroom with shower. 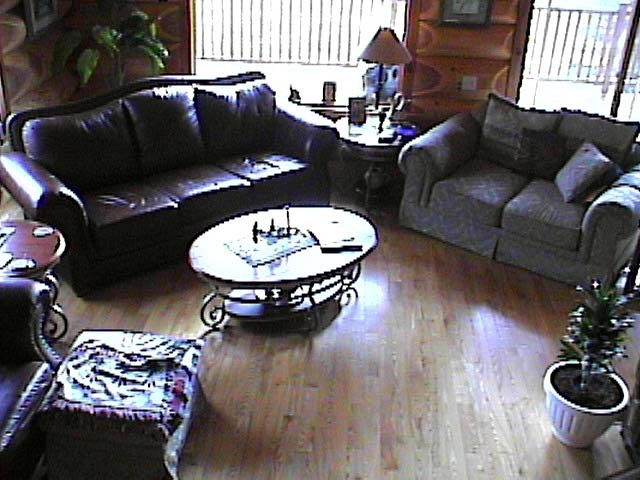 Large bedroom is quite long, private bathroom with shower, patio door private entrance. The hot tub is located beside the bedrooms. The view of the valley, meadows, trees and opposite range are stunning. The house was built in 1992, the taxes for 2007 were only $2800. 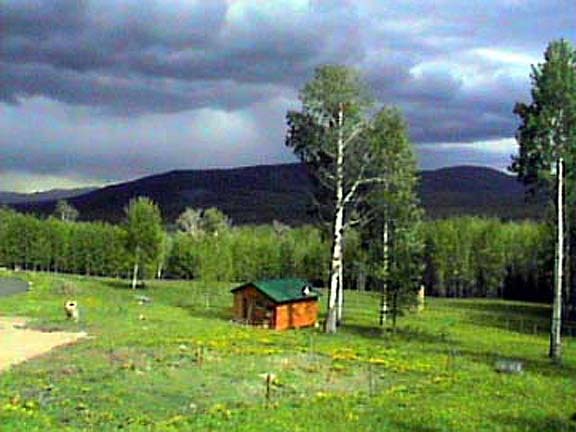 There is a second small house/cabin and another small hunters shack. 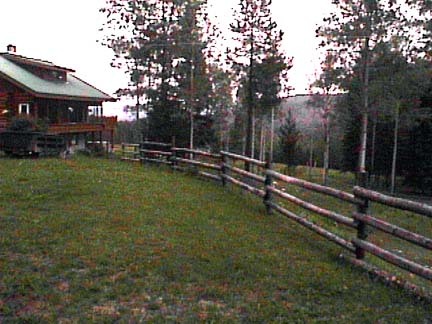 The second house/cabin, is not viewable from the house but is close. 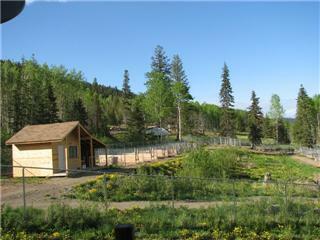 The private setting is on the other side of the kennel system. 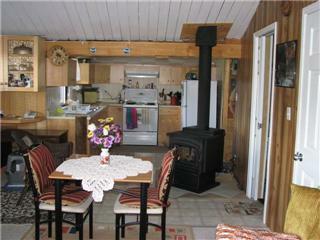 there is a small barn with carport or sheltered area, a storage shed and wonderful view. The Kennel System is second to none. 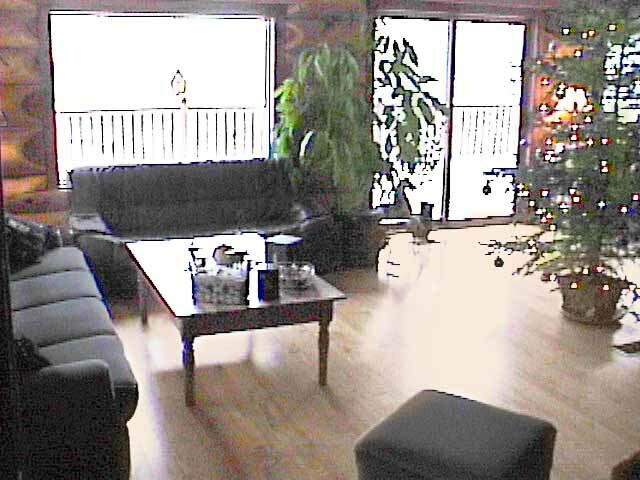 Aprox200 ft x 400 ft. Close to the house for safety and security but they do not interfere with peace and quiet and enjoyment of the gorgeous house at all. The chain link was professionally installed. It is EIGHT feet high with cemented in posts. The interior has a leveled upper terrace area aprox 45 feet deep and 200+ feet long, no permanent kennels up top. 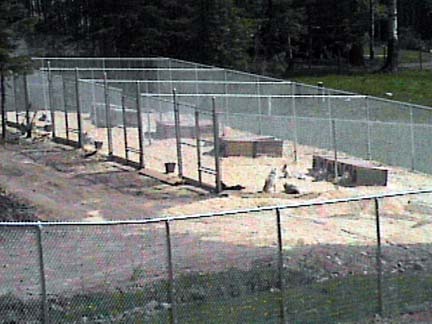 the lower area and far side have permanent kennels. The size ranges from aprox 30 feet deep and 50 feet wide to 20 x 40 feet. There are three large double gates. 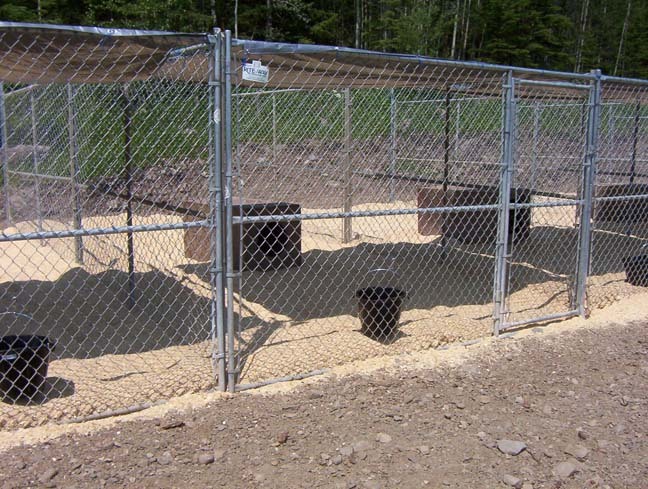 Each kennel has a 10 foot wide panel that swings open to allow equipment in. There is a man-gate in each 10 foot panel with an openable lower snow gate. This means you do not have to shovel out the gates when it snows! The kennels have excellent drainage and a huge open area suitable for staking or just for letting them rip around and really stretch their legs. My dogs had excellent exercise tearing around the massive interior kennel yard. It is very secure, drains well. 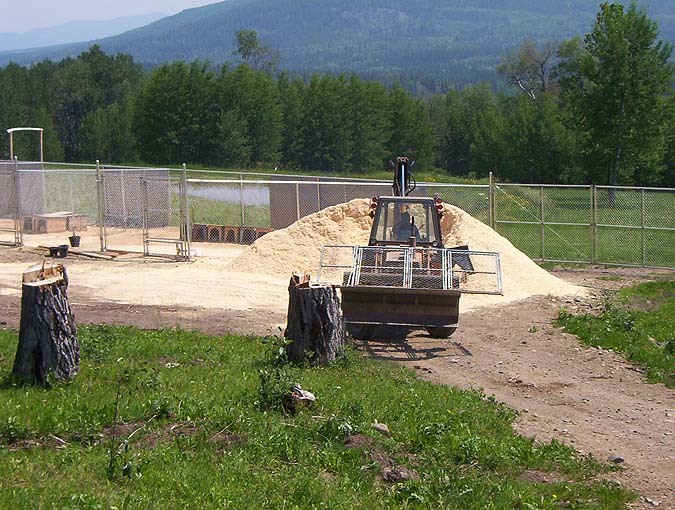 the kennels have pine deep litter flooring, especially the lower and side kennels. Teams can be launched from within the kennel yard. 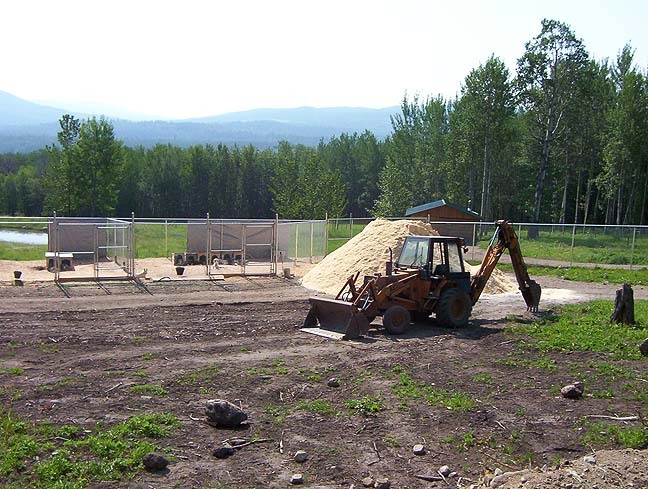 Dog boxes and trailers can be stored inside the kennel also. I designed this kennel to make it possible for one person to tend to the animals, load and unload teams etc with vehicle access, secure pens and perimeter, and a view of the kennels so that if there is an uproar the whole system can be viewed. Kennel photos at the bottom. If you have any questions about the property please feel free to call me or my realtor. I will help you as I can. The realtor taking care of the sale for me is very familiar with the property and the entire area. The photos included here were taken recently and while I lived there. . With the 2010 Olympics coming soon the value of this property will skyrocket. This area is rapidly being bought up by Canadians and Europeans. It is a dream property with unlimited opportunities for an intelligent buyer with a little business savvy. I am back in Alberta and am very sad to see this amazing place go, however it is for sale, and at a ridiculously low price. I am hoping that someone who has the knowledge and expertise to take on the golden opportunity of all this has to offer. It was my dream, I know someone will live it. 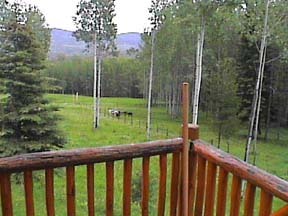 Views taken from the front balcony, you can see the hunters cabin and the spring fed pond and Egan Lake. 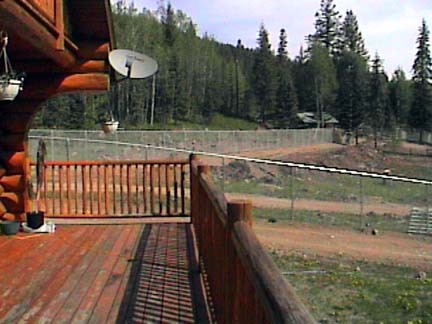 View from the front balcony of the upper kennels. 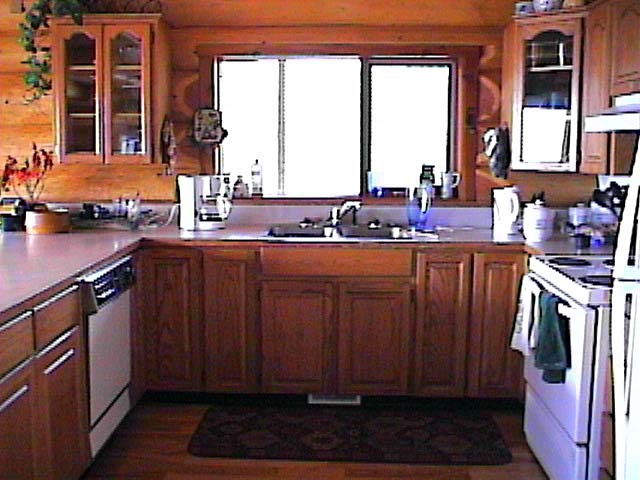 Photo of the interior of the little log house/cabin. The upper kennels on the left side are NOT on the property any more. The kennels in this photo are NOT on the property any more. This is to show what the upper kennels looked like.